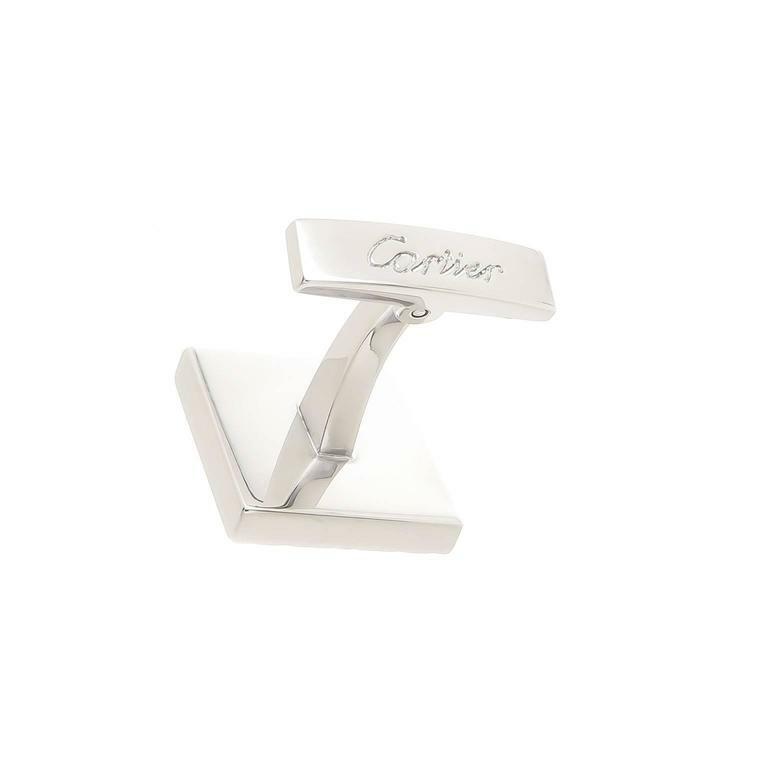 Circa 2000 Cartier Sterling Silver Traditional C Logo Cufflinks. The tops measure 5/8 X 5/8 inch. 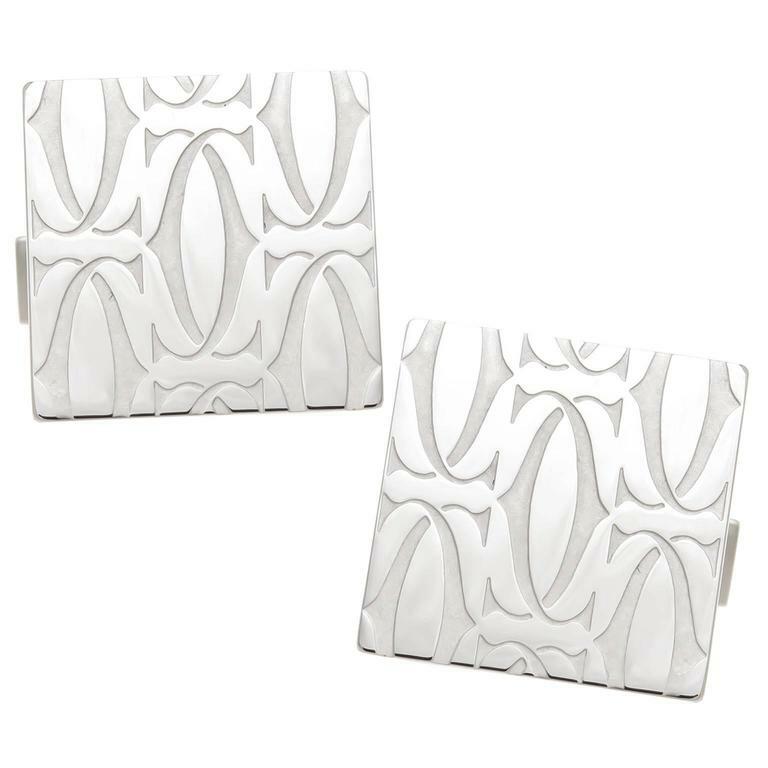 Having a hinge backing for easy take on and off. 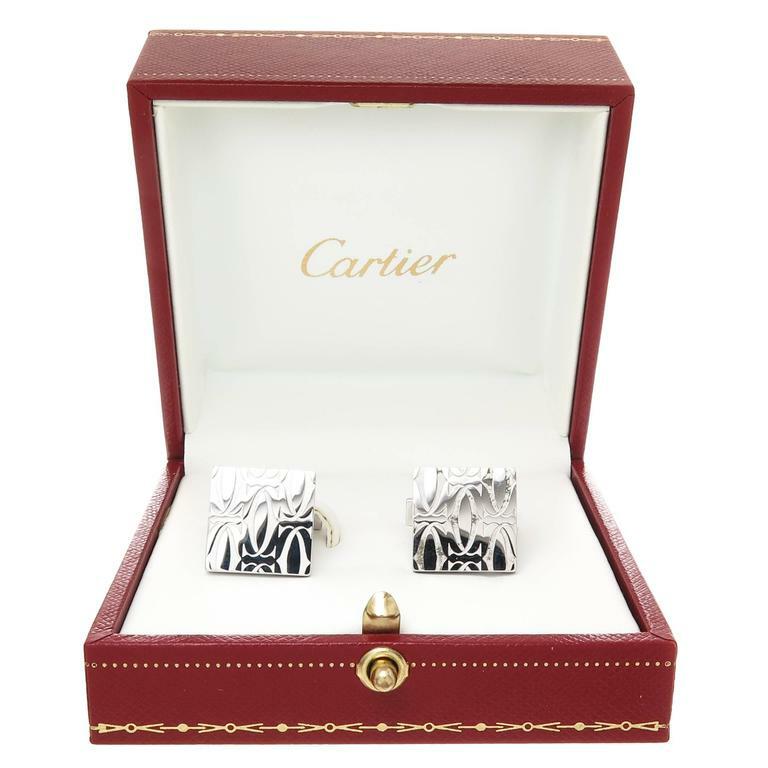 Comes in the Original Cartier Box. Excellent condition. 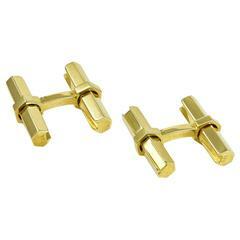 Pair of vintage Cartier 14k gold cufflinks. 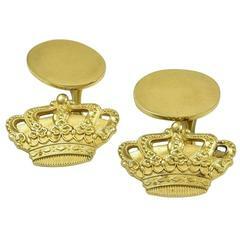 Cufflink top is 14mm in diameter , weigh 14.5 grams. Marked: Cartier, 14k.